a high mobility Flak barge? Best trained Navy of WWII? 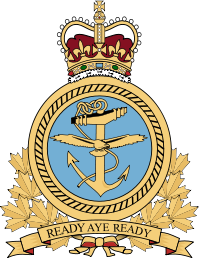 Royal Canadian Navy worth mentioning Started the war (WW2) with 11 combat ships and under 2000 men. Ended the war with almost 500 combat ships and 95,000 personnel. Basically held the line in the Battle of the Atlantic. Over 25,000 convoy escorts, sank 31 U-boats, sank or captured 42 other surface ships. not bad for mostly farm boys and city dwellers. 2 things 1.Your location says Realms of Chaos...So i'm assuming you drive on the 401 2. can you convince WG to put more Canadian ships in? I dont care if they are rehashed U.K. or U.S. ships I just want to fly the flag high!!! Make them all premiums IDC, Im sure they could make a few unique ships for the game. The Ontario, the Ottawa, the Bonaventure etc. shup up and take my money!!! Hood AA after CV rework? Has anyone got any idea how the Hoods unique DFAA will work after the CV rework? Will it be just a short range sector buff or will it be the same as every other BB with the sector thing? Why the Carrier Rework will fail no matter what. Anyone know what's going to happen with the Hoods unique DFAA? I don't see the point in stats much less watching everybody else's. I looked at my stats and it says I'm better than I know I am. How would you fix the lack of aggressive play and contesting objectives? Just my 2cents Drop accuracy and damage at range. the further away you are the less likely you are to hit and even if you hit the damage will be nerfed. the closer you are , the better your accuracy and damage. Nerf fires and floods a lot. If the DOT is reduced then the meta of hiding behind islands and raining shells down will less effective and if you dont have to auto repair as soon as you get a flood then pushing might happen more. shorten the length of the match, less time to get in , less people farting around the back doing nothing. change spotting mechanics, if a ship spots another, it shouldn't be instantly transmitted to the whole team. have torps slow down the closer they get to max range. Same here. Just had my best battle ever in my Haida and of course no record of it and no rewards for all my EPICNESS!! T-61 vs Haida? I know theres a Tier difference but I wonder which would win in a premium DD vs premium DD batttle. Play the way that works for you. I found the most success by being very aggressive, but my battles survived suffered. with CE i could get in to under 6kms and I would get the first 2 salvos and decimate that ship while SE helps tank the damage. My biggest problem is I need a team to cover and distract while I'm getting into position. 102 battles in this ship, 71 gun kills, 2 by secondaries ( first time was funny), 12 flood and fire, and 13 torp kills. torps are more for area denial and a back up if a cruiser comes too close.